In this powerful time. Decide to heal and say Yes, allow your highest path possible to manifest, feel your Divinity in your Heart, feel the Love you already are, and take action from there. In your Heart you can experience the opening gate, we align there, to the source of love that we are. Acknowledge. Feel it and say to yourself: “I accept it”. Transformation will start. Hug yourself, allow the inner pulse to happen and guide you. Receive the wave of healing and absolution. The divine feminine is present in this feminine time working with and through us. Alchemic time to embrace our shadow, self-rejection, time to forgive, to accept and feel those old emotions that want to be finally transformed. Sun-Earth-Virgo, Moon-Water-Pisces, and the inner pulse, silence, ritual, receptivity and openness to receive the healing love, in the physical, emotional, and mental bodies. This is an opportunity to adjust, we can align and receive the healing love light and energy, to repair, restore, heal, purify transform, to come back to us, deeply, and enter into a higher and happier perspective of ourselves and the world around us. We can understand the source of illness as separation from the Oneness. It is not a time to think and over think, it is a time to feel, to enter the silence, and be there…release, relax, heal, sense, tuning to our intuition and gut center. We are healing our intuition, our relation and respect for our intuition. Ask for a column of loving Light, now and everyday, to nurture yourself . 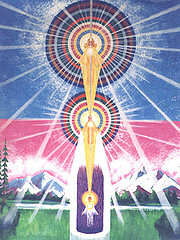 This is to activate your Body of Light. Visualize it if you can, and feel it. 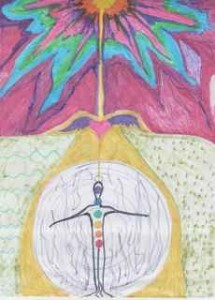 Connect to Mother Earth Gaia now, develop strong routes to her center and a cord from your Heart to Her´s. This light is available to you, simply by connecting your heart to Mother Gaia’s heart (the earth core) daily and drawing the light of Gaia into your heart. This light will attune your vibrational energy to its correct rate or speed, so you will be able to hold a clear positive focus in life on what you wish to create with your energy and time. allow Light and Divine Love to heal and dissolve the old, now. Receive it with eyes closed, become the Alchemist you are meant to be. Join the love, feel the union with the love source. Open your mind and your heart, acknowledge your lack of love, feel it , own your wound, decree your intention of receiving the perfect healing codes just for you. Receive the love in that wound. Affirm your Intention of healing and expressing your true self, purpose here and higher plans. Breathe… Now, breathe in and breathe out, transform through conscious breathing everything, breath through your heart, feeling your power to transform everything you need . I love to define it as: A practice and expression of moving from judgments to love. You unite, you come back home. Invoke Compassion and feel it in your Heart, receive the pure divine love, wait until you feel the warmth in your Heart. Vibrate and expand this feeling and energy inside of you, and irradiate it then to every cell atom and electron in your body, and then, outside. Your energy will be raised, transformed.The moon in Pisces is asking for union, resolution, oneness, dissolution of the limits and blockages, judgments, separations, false thoughts and beliefs, so your Soul and Spirit, Universe and Love can express through you. Operating, deciding and living from our Heart and from the feeling of oneness, will change it all. Find the flow of love there. Lots of Radiant Love for all of you! Previous post: luna llena con eclipse, tiempo de brillar mi amor!